Our beautiful People’s Princess left this earth nearly 22 years ago now and it’s absolutely unbelievable to think about! Like many sad and historical events, many people still remember to this day where they were when they heard the devastating news. I was only 10 years of age and I remember coming down the stairs early for breakfast, it must have been a weekend because I wasn’t getting ready for school and I always remember the shaken look on my Dad’s face when he told the news to my Mum. & Even at that young age, I knew it was a terribly sad and earth-shattering thing that had happened. However, she has never been forgotten, mainly due to her beautiful personality and her ability to connect with others, regardless of any differences or ‘barriers.’ She always believed in a kinder world and that itself made her a truly beautiful woman, inside and out. 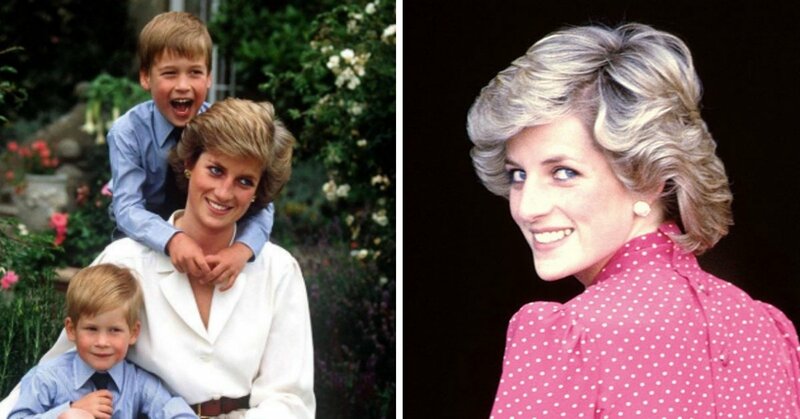 So today, we are paying tribute to Princess Diana with 20 stunning photos that remind us how wonderful and gorgeous she truly was! 1. Beautiful right from the start! This lovely picture of Diana as a little girl is from the 1960s & you can already tell that her sense of style is beginning to show through! She looks like such a carefree and happy child!